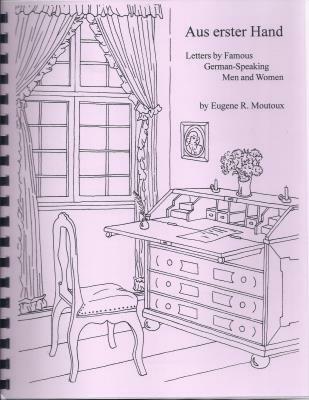 Click on a book cover to read about the book and to view several of its pages. 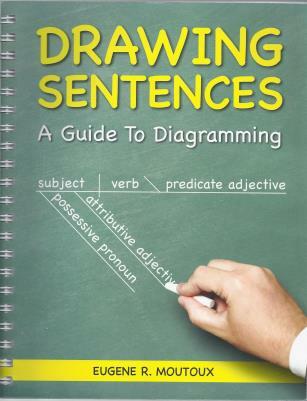 Even children can learn to diagram sentences using this book overflowing with examples and exercises. 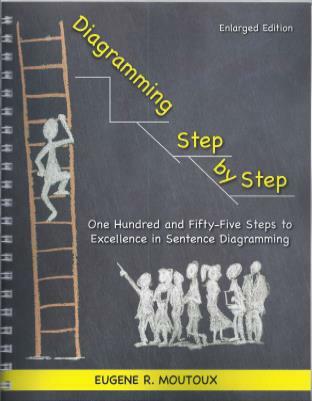 The book is a compilation of my three previous diagramming books: A First Book of Sentence Diagramming, A Second Book of Sentence Diagramming, and A Workbook of Sentence Diagramming. Click on the cover for details. Adult learners will appreciate the in-depth grammar explanations, the challenges of "Stories in the Park" and "100-Word Sentences." New to this edition is a 20-page introduction to tree diagrams. Click on the cover for details. 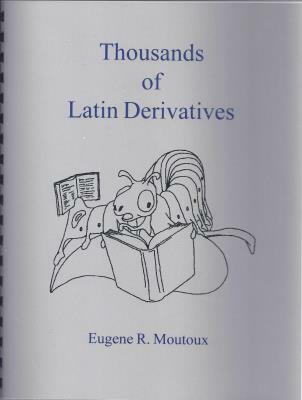 If you love to diagram, you'll welcome the challenges of this book. You will find, among other improvements, a "bare bones" diagram (lines only, no words) and a complete diagram (lines and words) of each sentence. Click on the cover for details. 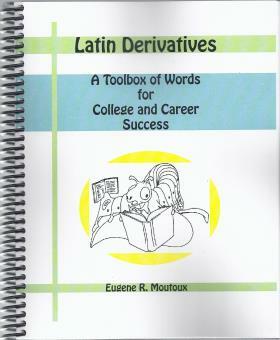 The newest and most challenging of my three books of Latin derivatives, this book features seven units of ten lessons each, with each lesson containing ten Latin derivatives. The book is replete with quizzes, tests, and lots of extras. No Latin necessary. Click on the cover for details. 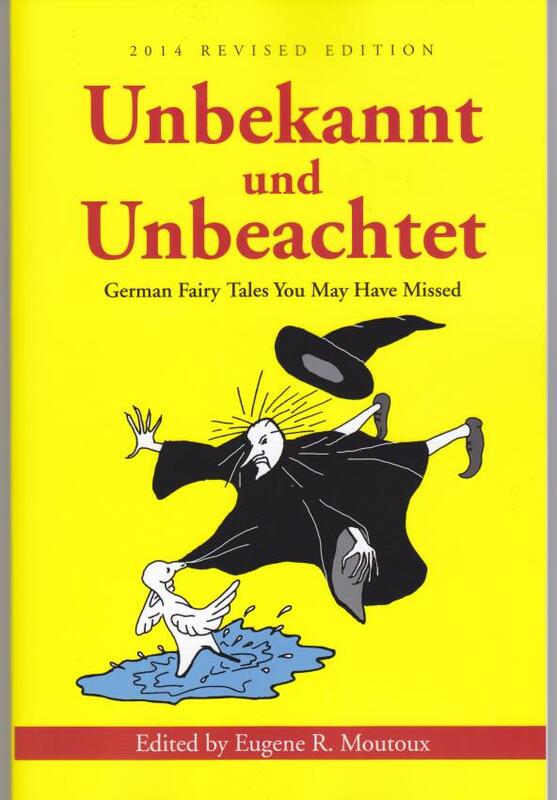 The Brothers Grimm collected more than 200 fairy tales. Here, in a professionally printed and beautifully bound book, are sixteen you've never read. Each story is accompanied by vocabulary sections and marginal notes. 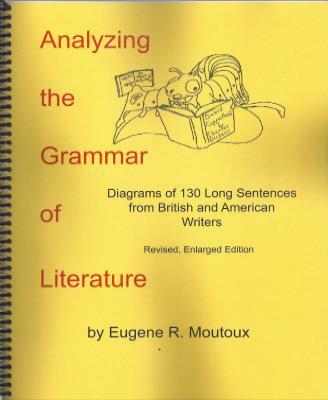 The book includes an extensive glossary and a grammar appendix. Click on the cover for details. 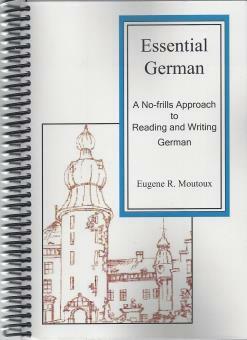 Learn to read and write German with this complete, grammar-intensive course. The reformatted book is not photocopied but printed from digital files. Click on the cover for details. Read letters in German by Beethoven, Bismarck, Nietzsche, Einstein, Kafka, Freud, and many others. The book includes vocabulary sections, marginal notes, and exercises. Click on the cover for details. Learn adjectives like redolent, irascible, incipient, disjunctive, peremptory, and petulant; verbs like inveigh, contravene, proscribe, stultify, equivocate, and exculpate; and nouns like ebullience, solipsism, concatenation, temerity, casuistry, and fecundity. Click on the cover for details. 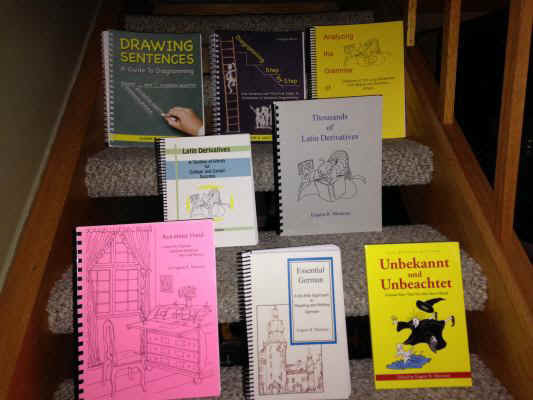 Three of my books (Drawing Sentences, Diagramming Step by Step, and Unbekannt und Unbeachtet) can be ordered from Butler Books of Louisville and from Amazon.com. The books are less expensive at Amazon, but I make considerably more on orders from Butler Books. The other five books must be ordered directly from me. The process is this: 1) you email me at ermoutoux@juno.com stating which books you would like to order; 2) I respond with (confirmation of) the price of the books and my postal address; 3) you send me a check or money order for the books; 4) I send you the books (media-mail postage is included in the price of the books). died in 2006 at the age of 64. To visit "Joni's Page," please click here.